What does a working gun, an acoustic guitar and a camera have in common? Well, they’ve all been 3D printed! The innovative faction of big German company, BigRep, the NOWlab has added to that list. Introducing the NERA, the world’s first 3D printed electric motorbike, with a total sum of up to 15 printed parts to it. 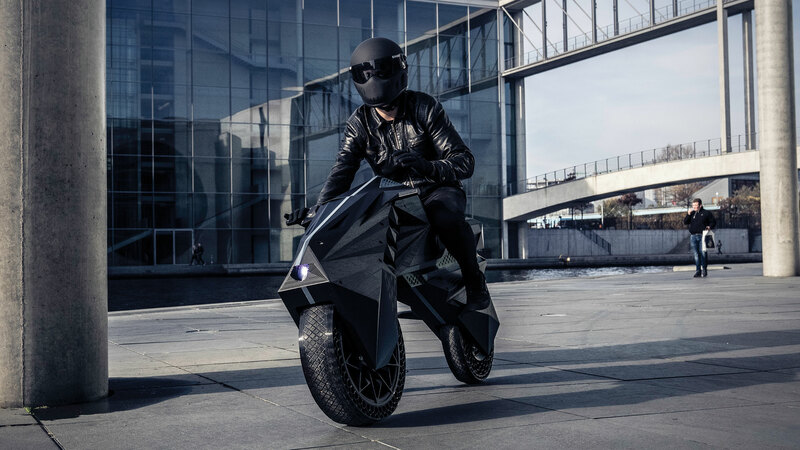 Created by 3D engineers, Marco Mattia Cristofori and Maximilian Sedlak, and conceptualised and directed by co-founder and managing director of NOWlab, Daniel Büning, the bike has a real Batman/Bond look to it. At a weight of only 60kg, the biggest part of this motorbike measures 120cm x 45cm x 20cm! At a glance, the bike features airless tyres with customised tread, hexagonal structures for load-bearing parts, an arched structure which is lightweight and customisable seat and chest rest. The bike will feature LED lights and PETG reflectors. NOWlab also uses aerospace developments, FFF, with its Aero Seat. A fantastic passenger seat that looks almost bionic and will provide a 3D body scan that will offer unprecedented long-travel comfort. NERA showcases the awesomeness of 3D printing and its endless possibilities. Unfortunately, it will not be manufactured at this point for the mainstream market.